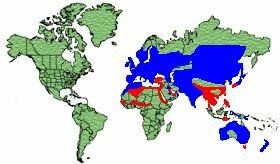 Europe, Asia, Africa and Austrlasia. 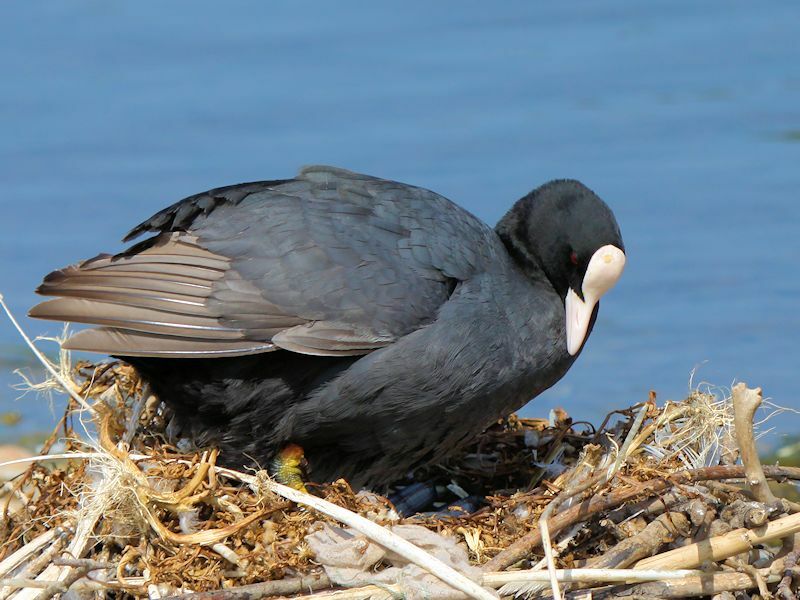 Migrate Southward in winter during the night and arrive at their destination before dawn. 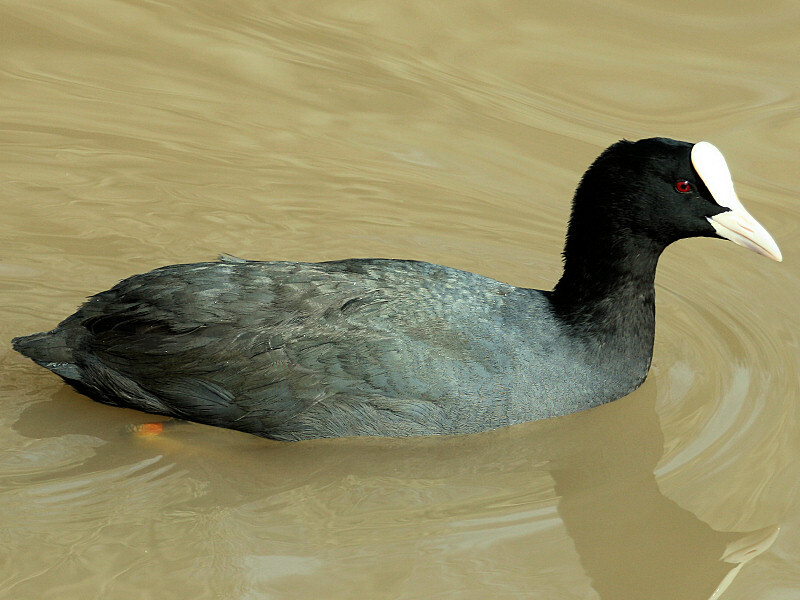 The male has mainly Black/Grey plumage with White face shield and bill. 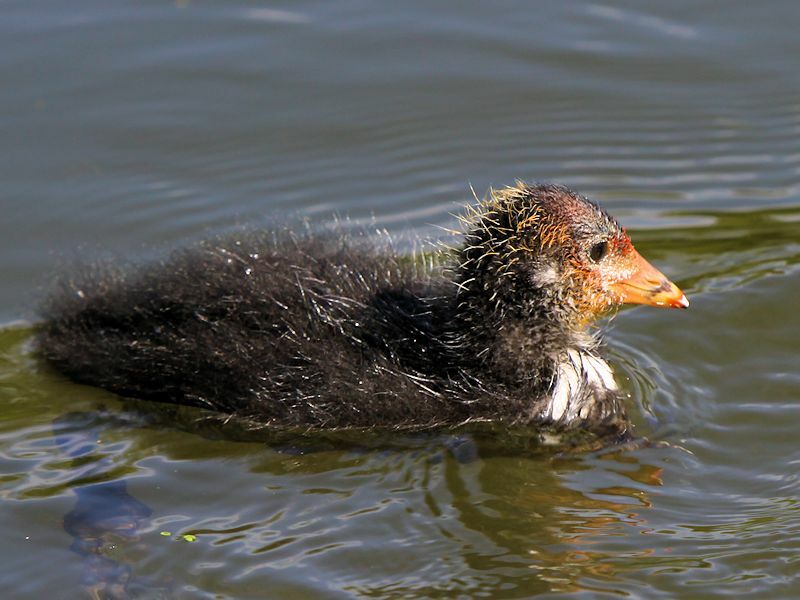 They have Silver/Grey long lobed toes and strong legs. 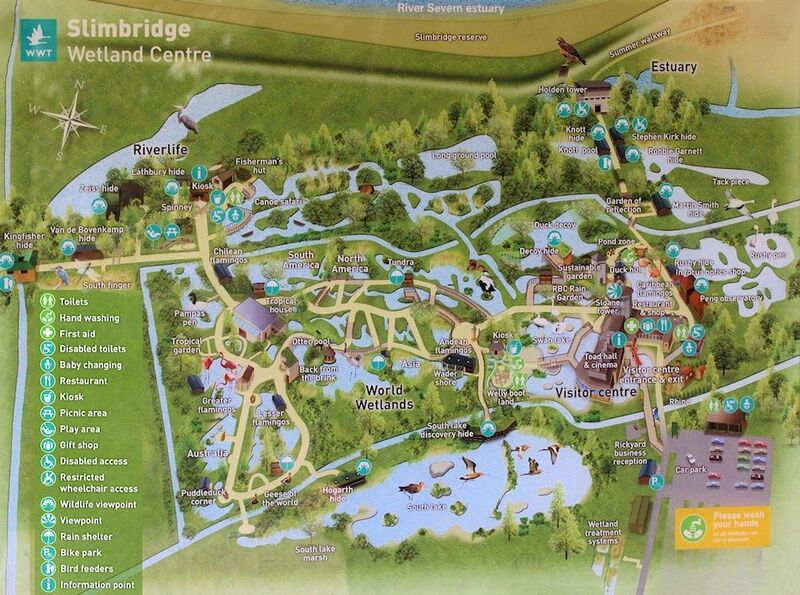 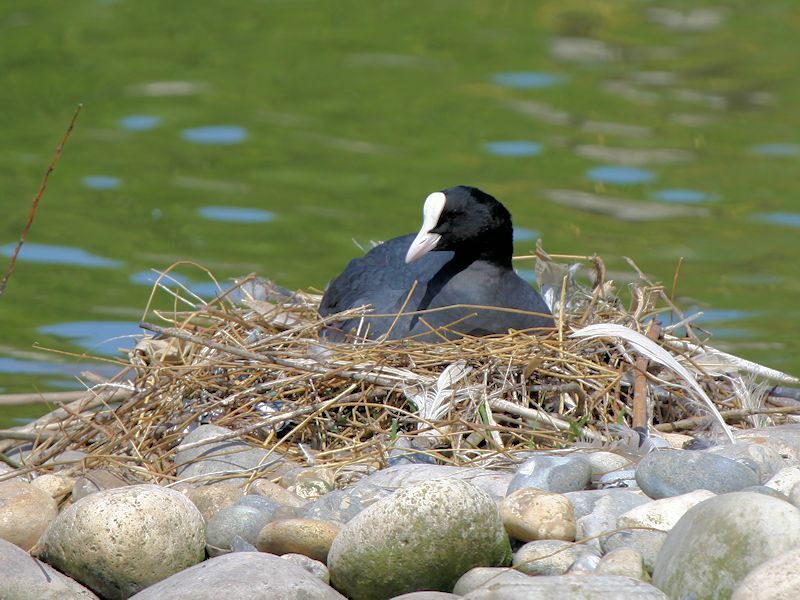 Lakes, Rivers, Marshlands and Ponds. 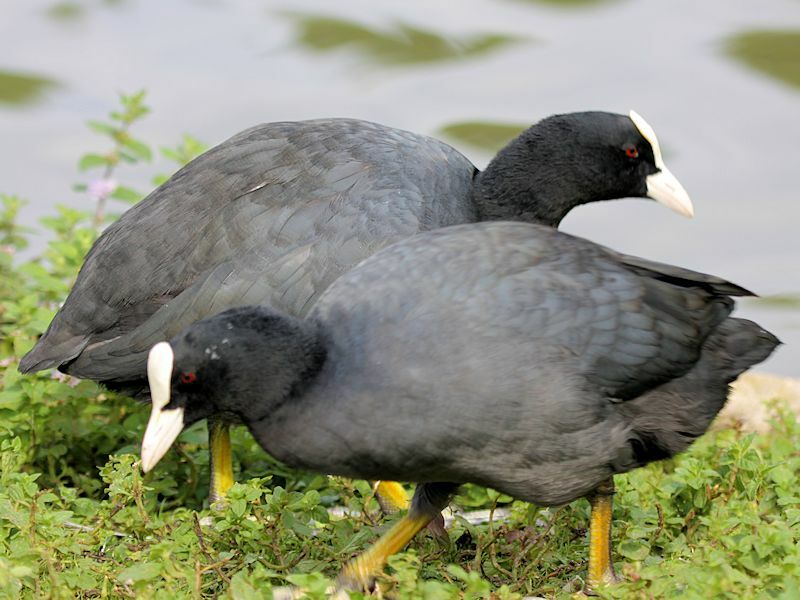 Vegetation, Seeds, small animals and eggs. 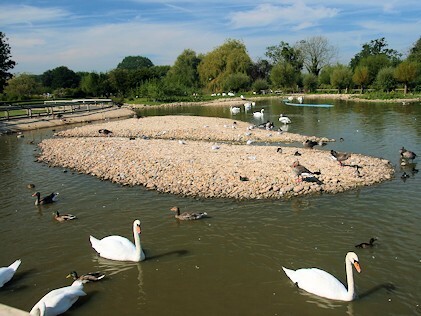 Built in shallow water from vegetation. 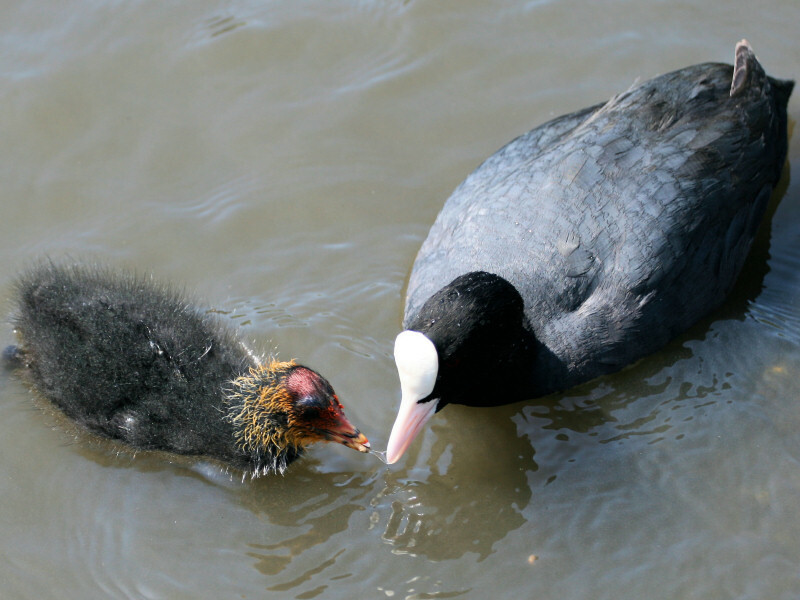 Colour: Yellow/Grey with Brown speckles. 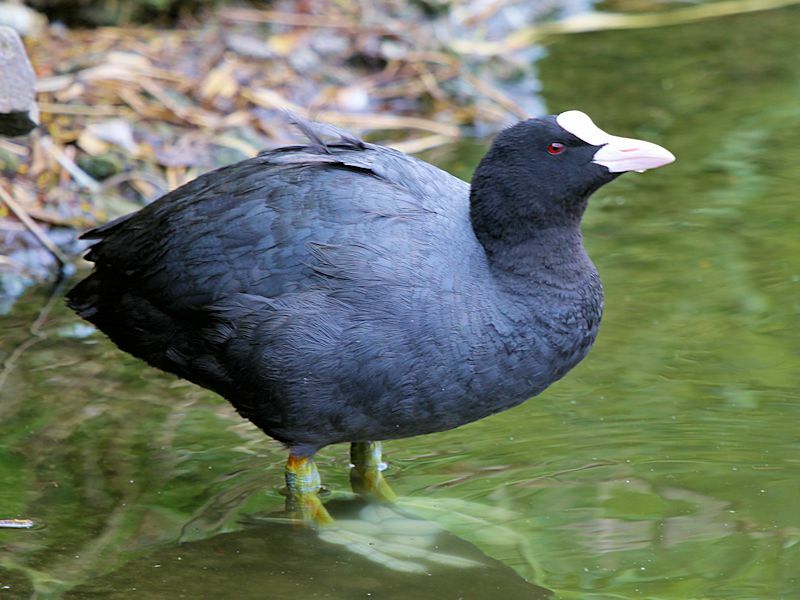 The Coot is a member of the Rallidae family (rail) and is related to the Moorhen. 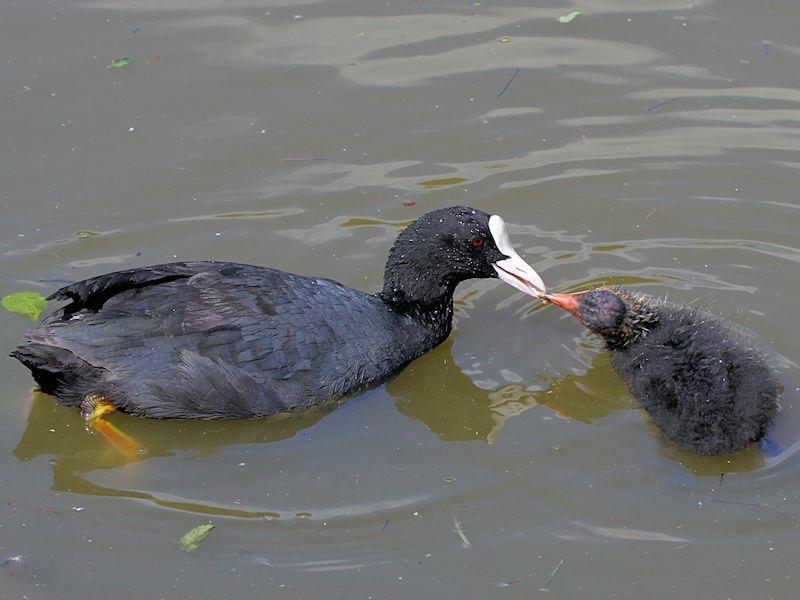 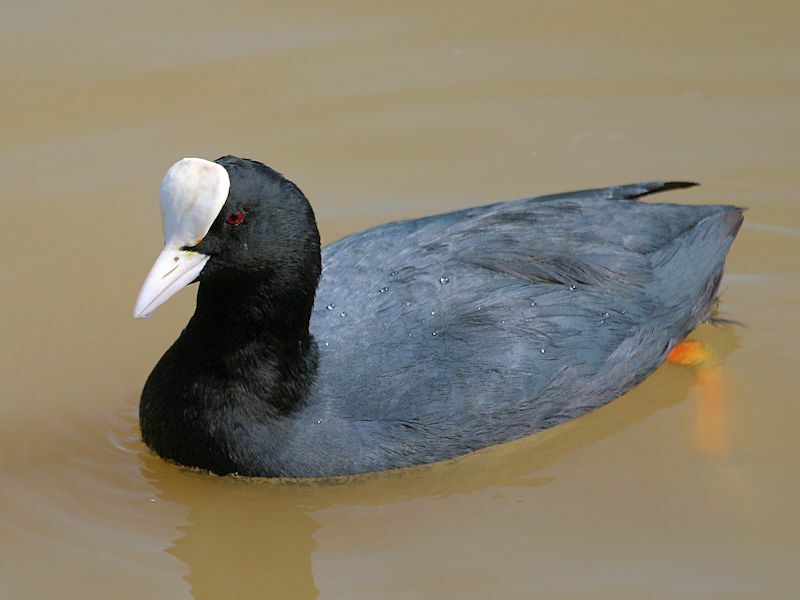 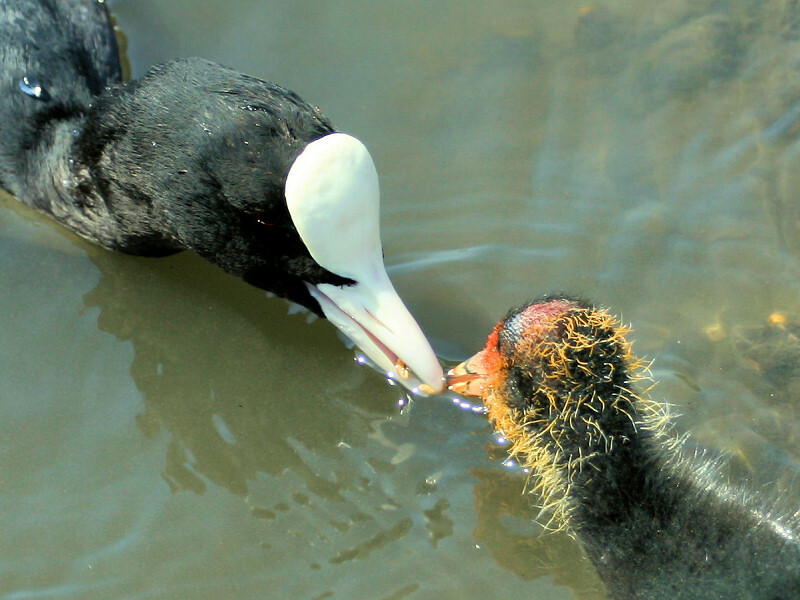 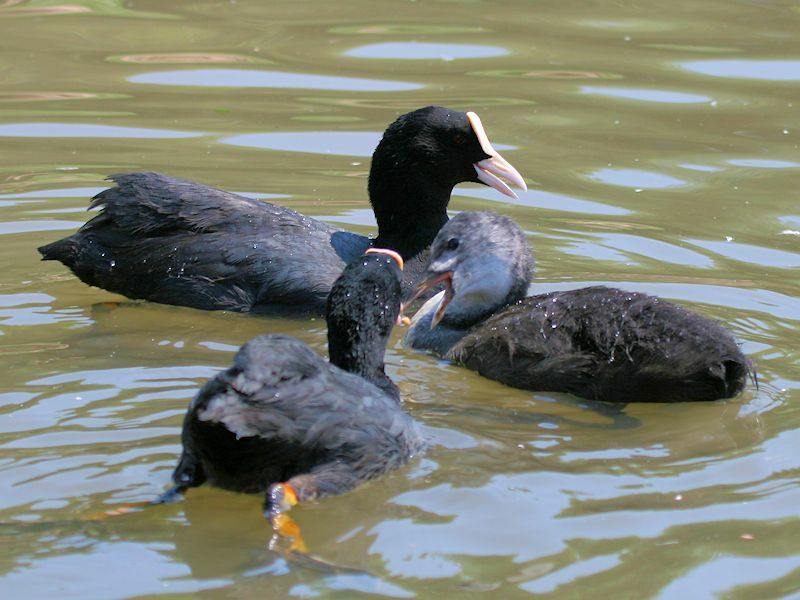 The face shield on the Coot is featherless and gives rise to the expression �bald as a coot�. 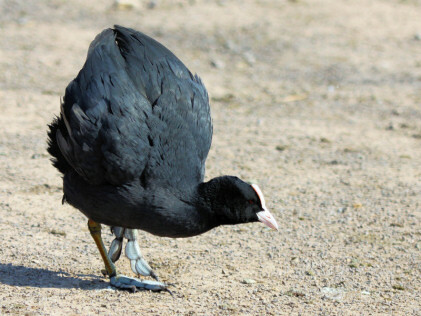 The large feet of the Coot allow them to walk easily on soft and uneven ground. 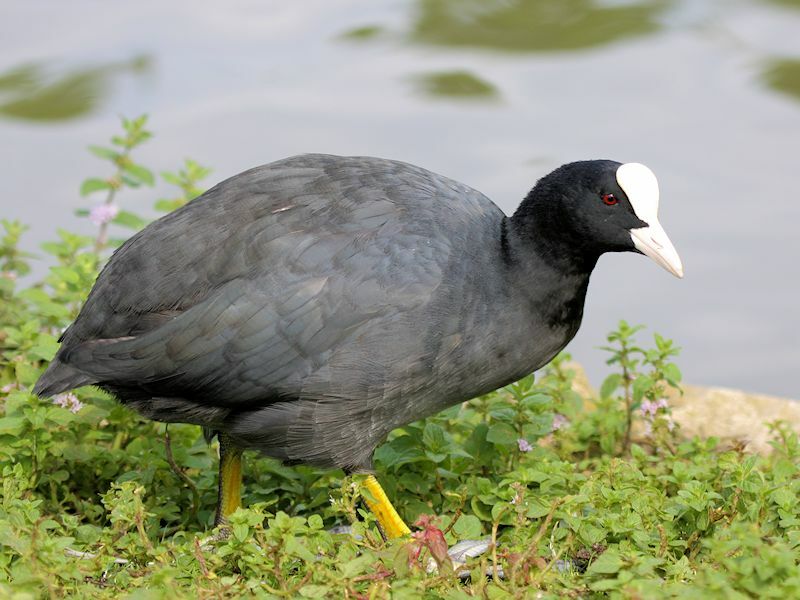 Whereas the Coot can walk and run well they are not very good fliers due to their small rounded wings.